Different people have different ways to show their love for their loved ones. Some keeps the photos, some keeps the belongings and some keep the ashes too. Yes people do keep the ashes of their loved ones in the urns. 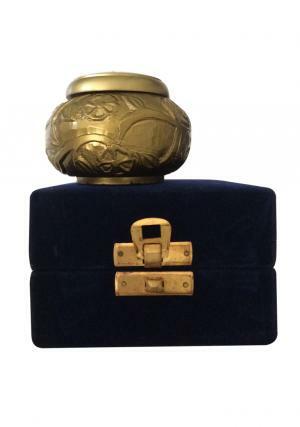 For the ones who keep the ashes we provide them a huge variety of urns. This Climbing Roses Golden Cremation Urn is a great piece of art. It has a unique spherical shape with a screw tight lid. 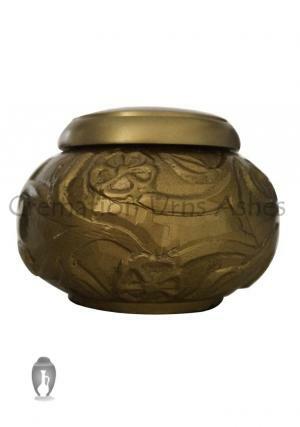 This golden finished urn has a pattern of climbing roses engraved on it. 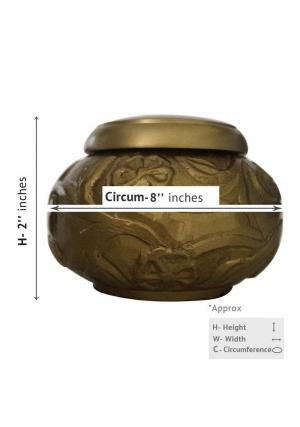 This spherical urn is in 8" inches in width & 2" inches height in dimensions. 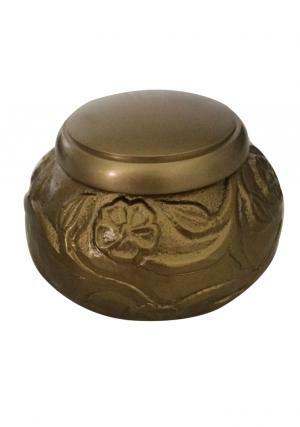 It is very spacious and keeps the ashes safe down in the urn. This is a very antique looking urn which gives a very classic and traditional look to the space where being placed. It is the perfect way to express the love and respect for the elder ones of the family whose love and care has always been there for you. We provide free shipping service to our customers with the secure payment method. We also have refund acceptance service in which we refund the money for the unused urns.